Are you thinking of travelling to Latin America? Do you have Latin American friends and you want to communicate with them in Spanish? Then this is the course for you!! 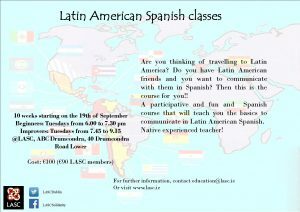 A participative and fun and Spanish course that will teach you the basics to communicate in Latin American Spanish. 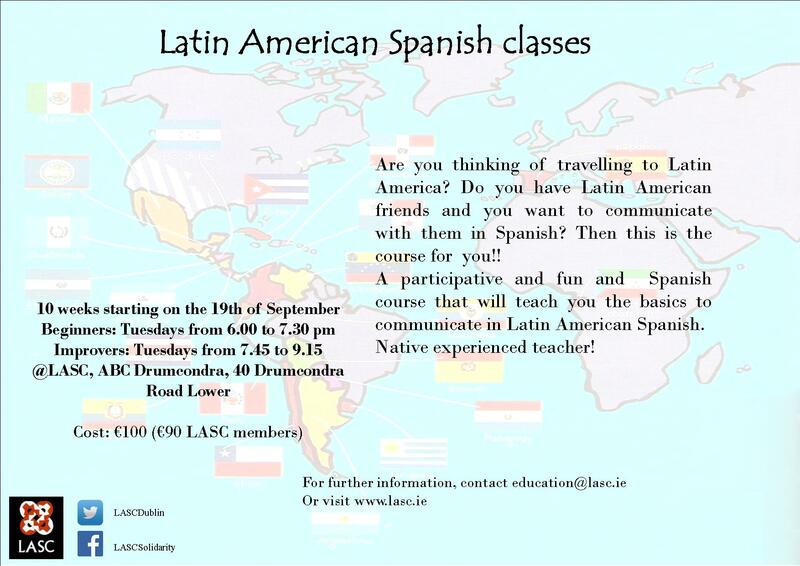 How did you find out about our classes? Why do you want to learn Latin America Spanish? What interest do you have, if any, in Latin American development/solidarity/cultural issues?